We’d love your help. 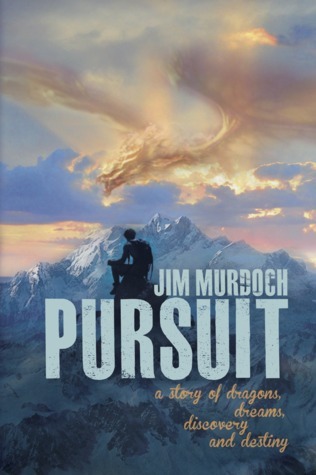 Let us know what’s wrong with this preview of Pursuit by Jim Murdoch. Do dragons exist? Do our dreams become part of our reality? Einarr, a young warrior, follows a riddle from his father to find the treasure of his life. Gaby, a little girl and passionate reader, makes an amazing discovery within the pages of an antique book. Pat climbs a mountain to escape overwhelming changes in his life and his sick pregnant wife. Set in three different t Do dragons exist? Do our dreams become part of our reality? Einarr, a young warrior, follows a riddle from his father to find the treasure of his life. Gaby, a little girl and passionate reader, makes an amazing discovery within the pages of an antique book. Pat climbs a mountain to escape overwhelming changes in his life and his sick pregnant wife. Set in three different time periods, we accompany the protagonists and their individual stories through the challenges and discoveries that change their lives forever. Although separated by time, their adventures and encounters are intricately intertwined across the years. What all of the characters in this book have in common may change your life forever. The mystery, adventure and discoveries in Pursuit will have you claim your very own destiny. The legends of Mount Pilatus mentioned in this book were taken from the Pilatus official website and other sources. Believe them or not. It is the authors conviction that such legends and myths have originated with some story or other. Do dragon’s exist. Let the reader decide. To ask other readers questions about Pursuit, please sign up. From the fiery breath of ancient myth and magick, Jim Murdoch has given us a book of riddles rhymes legends and thrown in a dragon just for good measure. Read carefully as there is great wisdom embedded between the lines. Have you ever wondered what it would be like to ride on the back of a dragon to see the world from a higher vantage point? From the physical and spiritual plane this book takes the reader higher then we have ever flown before. Where is the great treasure and what exactly is it that the great dragon guards? You’ll have to read Pursuit to find out the secrets of the dragon and its lair. It may even lead you to find your own treasure trove hidden not so very far away from where you are sitting right now at this very moment. I think there is a little dragon in all of us. Pursuit is a timeless, adventurous and philosophical novel about battling the shadows in order to find the inner light and connection to the divine guidance. I love how the three stories bound by an ancient mysterious book merge together and support each other. All the stories are equally entertaining and lead to the same crucial conclusion, yet each of them also manages to keep its own unique atmosphere. Sometimes, when a story has multiple protagonists, there’s the danger of one overshading the Pursuit is a timeless, adventurous and philosophical novel about battling the shadows in order to find the inner light and connection to the divine guidance. I love how the three stories bound by an ancient mysterious book merge together and support each other. All the stories are equally entertaining and lead to the same crucial conclusion, yet each of them also manages to keep its own unique atmosphere. Sometimes, when a story has multiple protagonists, there’s the danger of one overshading the other, but I felt that this book achieved to keep them all equally likeable. It’s a fast paced read, each chapter’s ending makes you want to go on, because you look forward to know more, uncover more mysteries and secrets. What I also loved about the book is that its fairy-tale-like approach can be appreciated both by children and adults. I recommend this story to anyone who is interested in mythology, particularly dragons and spirit guides, and is courageous and humble enough to confront his own shadow and find the light that resides within. There are a variety of things going on within this story with four different characters that intermingle with the one main focus which is an amazing book that hold the secrets to finding hidden treasure along with its protector whom is an amazing and magical dragon. Each individual is on pursuit to gain which they seek must solve mysteries, riddles and take a grand adventure to accomplish it all. I really enjoy how descriptive Jim Murdoch is. Being a HUGE dragon lover myself. I was able to go on an adventurous ride on a magical dragon back and land home safely and with some great memories. There have been a few books that I have read recently, where I have actually re-read the books at some point in the future. With this book, I have read this book probably 3 times in the past 2 weeks, just trying to understand it. Trying to figure out what exactly is going on. Each time that I have read this book, I learn something that I missed before. And I realize something else about myself. Usually it upsets me when it comes to books such as those, but with this one, I just couldn’t put it There have been a few books that I have read recently, where I have actually re-read the books at some point in the future. With this book, I have read this book probably 3 times in the past 2 weeks, just trying to understand it. Trying to figure out what exactly is going on. Each time that I have read this book, I learn something that I missed before. And I realize something else about myself. Usually it upsets me when it comes to books such as those, but with this one, I just couldn’t put it down. The writing itself was done amazingly, Jim’s ability to jump between the different characters was done so well that it almost seemed as though the book was written by several different authors, instead of just one. By him being able to write these characters this way, it just added to the story even more. The dragons in this story are not at all what you expect them to be. They are so much more than you could imagine. The only complaint that I have about this book, it does jump between the different characters, and different time’s, it was confusing to me at the start of the new chapters trying to piece together who was doing the talking and what time frame we were in. This is one of those few books, which I will recommend to my friends, and I will be purchasing copies to gift to family and friends. A mystical tale of the quest for one’s own Holy Grail. A journey beset with deprivation, adversity, trepidation that can only be overcome through the conquering of one’s fears and listening to the inner voice. The three main protagonists must learn this in three different timelines, connected by a mystical book. I love the symbolism of dragons in Pursuit—what they represent to each individual and to humanity as a whole. Threaded throughout the book were philosophies found in Esoteric and Mystica A mystical tale of the quest for one’s own Holy Grail. A journey beset with deprivation, adversity, trepidation that can only be overcome through the conquering of one’s fears and listening to the inner voice. The three main protagonists must learn this in three different timelines, connected by a mystical book. I love the symbolism of dragons in Pursuit—what they represent to each individual and to humanity as a whole. A wonderful story...the power of the imaginative mind by Jim Murdoch. 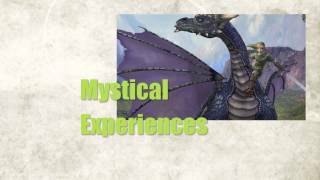 Do we believe in the magical world of dragons ? These mystical creatures are told to be the guardian or key to some secrets. but also to show us great lessons of our own personal journeys in life. The dragon in this book guided Einarr, Gaby, and Pat A wonderful story...the power of the imaginative mind by Jim Murdoch. The dragon in this book guided Einarr, Gaby, and Pat to finding their real treasures. A wonderful story of enlightening mystical energies ! I did have a hard time getting into the story, but I'm glad I stuck with it. It's slow to start, but definitely picks up. There's a lot of mystery and ideas, theories, superstitions, tales to discover and weed through, and for the characters to work through. The writing was a bit slow for me, or maybe just not as detailed as I'm used to, but there was still plenty of detail and plenty of adventure throughout. The stories of each unfolded and the book became more interesting, to the point of *havi I did have a hard time getting into the story, but I'm glad I stuck with it. It's slow to start, but definitely picks up. There's a lot of mystery and ideas, theories, superstitions, tales to discover and weed through, and for the characters to work through. The stories of each unfolded and the book became more interesting, to the point of *having* to keep reading, to find out what was going to happen. I would definitely recommend this book to readers who are into mythology, suspense, and of course dragons and old tales. Very good read! This one started off a tad slow, but it was necessary for exposition and build up and all. Once it gets going, it’s a mysterious and magical adventure full of riddles. The time and characters jumps can be a little disorienting, but you run with it and it’s integral to the weaving of the story. The dragon is different than expected which is just neat. Most of all, I think it’s the message within that I really appreciate. I don’t want to ruin anything by telling you that message outright, so I’ll This one started off a tad slow, but it was necessary for exposition and build up and all. Once it gets going, it’s a mysterious and magical adventure full of riddles. The time and characters jumps can be a little disorienting, but you run with it and it’s integral to the weaving of the story. The dragon is different than expected which is just neat. Most of all, I think it’s the message within that I really appreciate. I don’t want to ruin anything by telling you that message outright, so I’ll just say go give it a shot yourself! A great read that will touch your heart! Good book, great story. Dragons, dreams, discovery and destiny: pretty much sums up what's inside the book, with wisdom and obviously great life experience as its 'secret sauce'. Quite an achievement, Jim. I really enjoyed myself reading cover to back in a single sitting. This is a keeper..., to re-read! The proofreader overlooked some minor mishaps. Not utterly annoying, but disturbing the quality. I hope these will be corrected in the second edition. Otherwise, the book itself does breath quali Good book, great story. Dragons, dreams, discovery and destiny: pretty much sums up what's inside the book, with wisdom and obviously great life experience as its 'secret sauce'. Quite an achievement, Jim. I really enjoyed myself reading cover to back in a single sitting. This is a keeper..., to re-read! I loved the way the stories moved onwards and how the riddles unfolded. Wonderful in depths truth that only comes to awareness as one experiences in life. Great to let the characters tell loving caring stories and the touch of kindness in it all. A book that inspires and makes you think deeper. I look forward to more adventures of inner truth. One quest, three entwined stories. A traveller seeking self worth, an inquisitive child and an expectant father all seek a treasure that can only be found inside themselves. A well paced story with clever riddles that must be solved, with an important philosophical message. A little slow in places but overall a good read. I will certainly read the next book in the series. From the beginning till the end this story captivated me. The characters feel real, you can relate to them. Each Chapter reveals just enough to keep your fantasy going. It's an adventure that catapults you back and forth through time, telling the stories of the different Protagonists, which in the end all come together in a way you wouldn't expect. The mystical journey the reader takes during this story is one not to be missed. While I am not a huge dragon fan, anymore than I am anti-dragon, the dragon in the pages of an ancient book the characters receive in the story fits beautifully. The characters are on their own journeys, spiritually and physically. There are parts where time jumps occur and it can be dizzying but not a problem that would deter any reader. It is unique to read a story that is both magical and spiritual. There are leg The mystical journey the reader takes during this story is one not to be missed. While I am not a huge dragon fan, anymore than I am anti-dragon, the dragon in the pages of an ancient book the characters receive in the story fits beautifully. The characters are on their own journeys, spiritually and physically. There are parts where time jumps occur and it can be dizzying but not a problem that would deter any reader. It is unique to read a story that is both magical and spiritual. There are legends, myths and truthfully you feel a little enlightened with the reading. There were some things I didn't know, and it's an added delight to discover. If you're looking for a different read, a break from the usual literary offerings, search no further. It is in the vein of Paulo Coelho but don't think Murdoch doesn't have his own style, I only point out the similarity because both authors create an atmosphere of contemplation. Young Gabby is my favorite character, a book lover who lives in the hearts of all bookworms. As she reads about Einarr's past she finds her own connections. The characters are tangled in each other, and the reader will join the knot and make self-discoveries. It's hard to write a review of books with purpose, because it's different for each person. Was it often easy to see where he was leading me, sure, but I am a quick learner (and so modest) but truly, an enjoyable story. This one started off a tad slow, but it was necessary for exposition and build up and all. Once it gets going, it 19s a mysterious and magical adventure full of riddles. The time and characters jumps can be a little disorienting, but you run with it and it 19s integral to the weaving of the story. The dragon is different than expected which is just neat. Most of all, I think it 19s the message within that I really appreciate. I don 19t want to ruin anything by telling you that message outright, This one started off a tad slow, but it was necessary for exposition and build up and all. Once it gets going, it 19s a mysterious and magical adventure full of riddles. The time and characters jumps can be a little disorienting, but you run with it and it 19s integral to the weaving of the story. The dragon is different than expected which is just neat. Most of all, I think it 19s the message within that I really appreciate. I don 19t want to ruin anything by telling you that message outright, so I 19ll just say go give it a shot yourself!